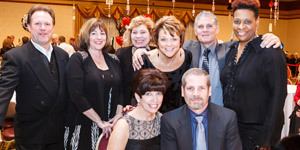 We offer our consumers, families and supporters a variety of informational and fundraising events all year long. For information on the most current events please see our Events Calendar. First Look –We are proud to announce that New Star has been selected as one of the 18 benefiting charities for the First Look for Charity. First Look for Charity stands as one of Chicago’s greatest one-day fundraisers, regularly generating more than $2.5 million for 18 benefiting charities of First Look for Charity. Tickets ($275 each) generated by New Star will directly benefit New Star! 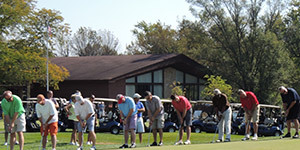 Golf Outing – Our annual golf outing is held in late September at Idlewild Country Club. This event is the perfect opportunity to spend one more day on the links before putting your clubs away for the season. The outing includes a barbeque lunch on the terrace, 18 rounds of best ball golf and games, and dinner. Wine Tasting – Our annual wine tasting is held at Old Plank Trail Community Bank in Crete. A variety of premiere wines are featured from top vineyards around the world. Guests receive tastings from each of these wines, a complimentary wine glass, and a limited selection of hors d’oeuvres. Family Support Group Meetings – Our monthly Family Support Group Meetings began in response to the frustrations expressed by families and guardians about the lack of resources available for sound decision-making, especially for those with loved ones transitioning out of high school. These meetings are designed to prepare parents and guardians for the next chapter in their child’s life. It is free and open to the public so that all families and guardians, not just those we serve, feel confident that they’re making the best decisions possible when it comes to their loved one’s quality of life today and well into the future. For more information about New Star news and events or to request a media kit, contact Pat Trebe at ptrebe@newstarservices.org.